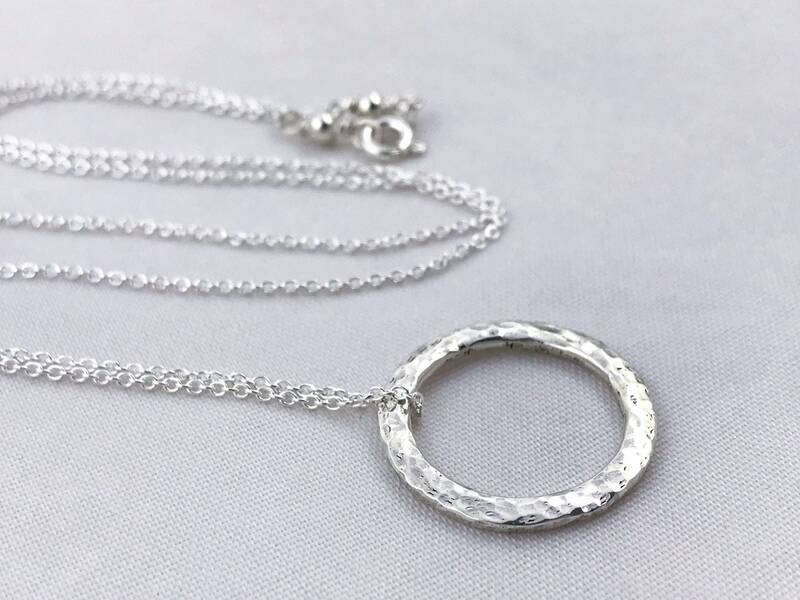 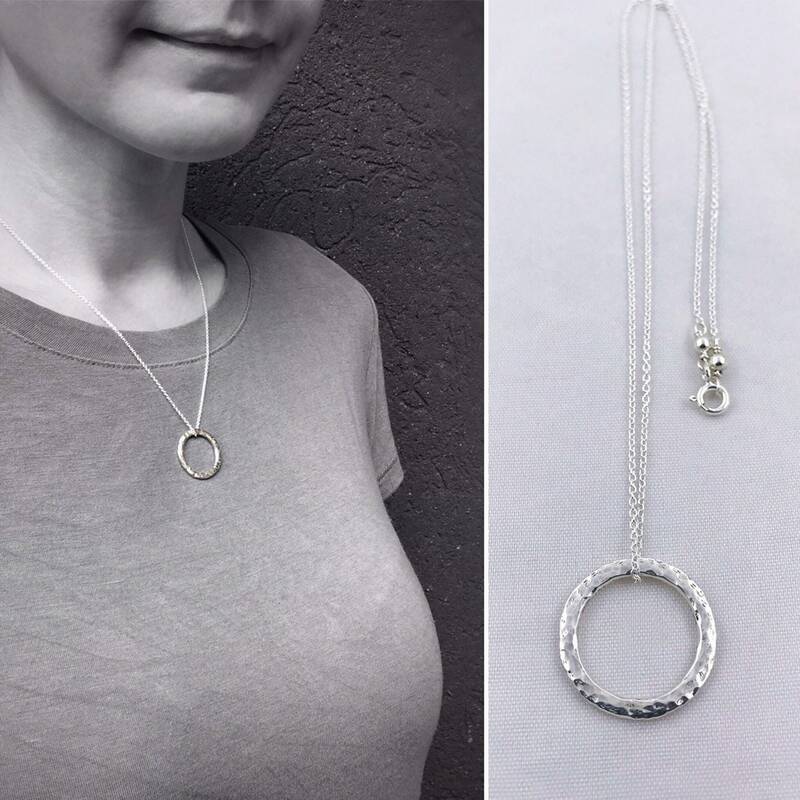 -Circle pendant measures 20mm (just over 3/4") diameter and 1.5mm thickness (please expect very slight variations as these are hand forged). 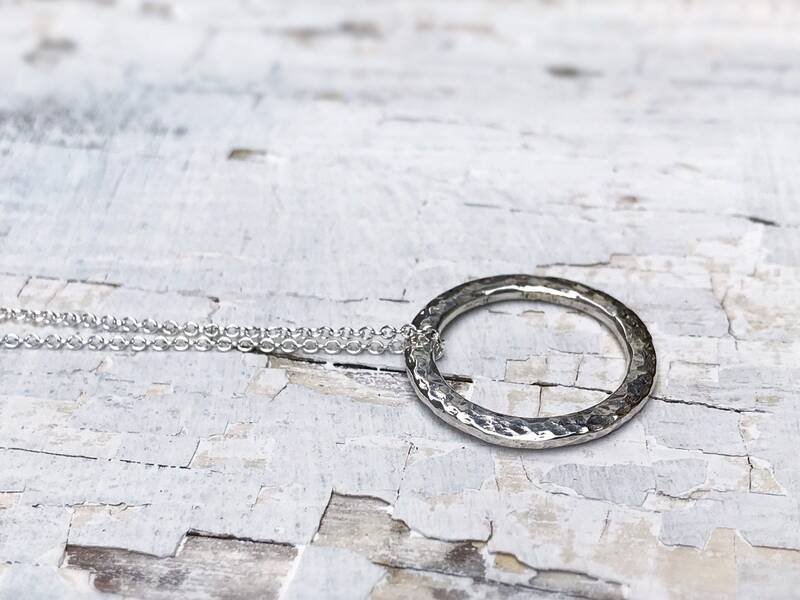 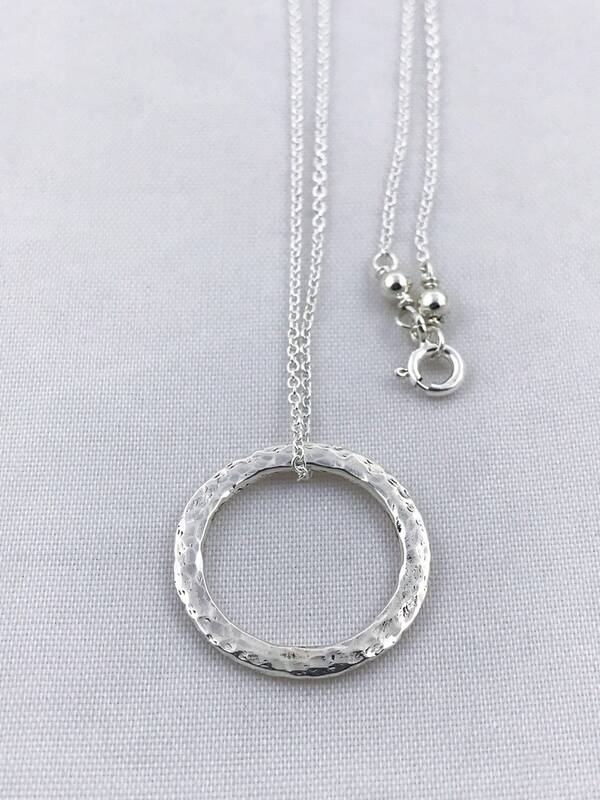 -Circle is free floating on a 1.1mm width cable chain. 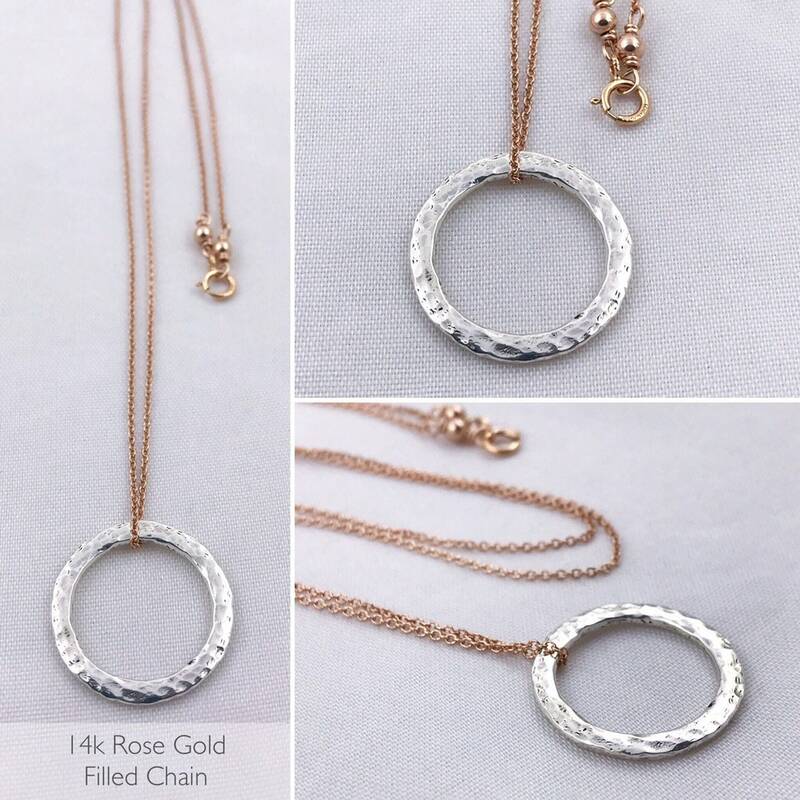 Chain looks delicate but is quite strong. 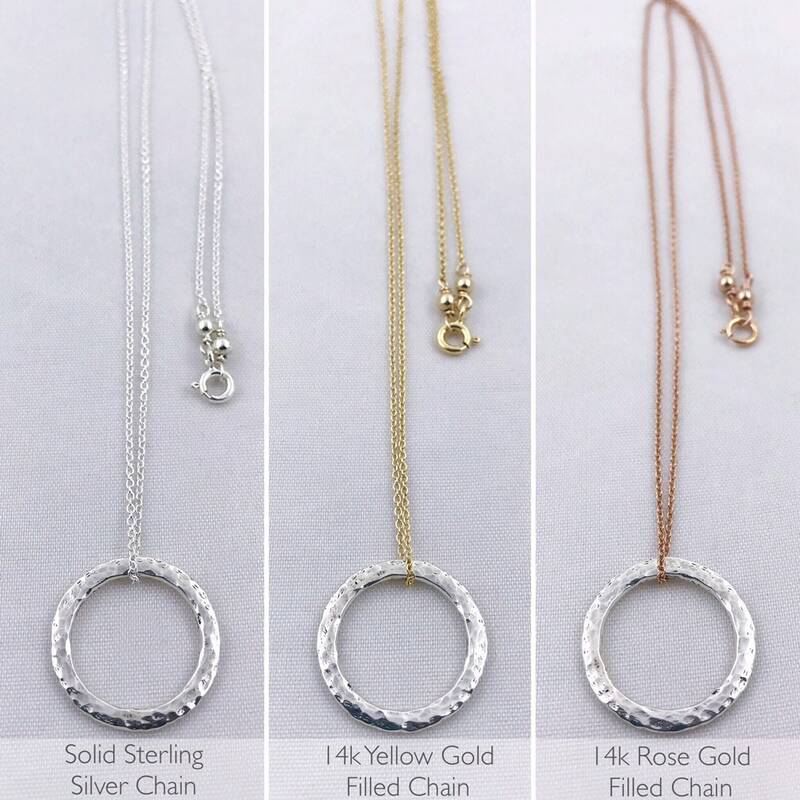 -Your choice of small spring ring clasp (shown in photos) or hammered hook and loop clasp. 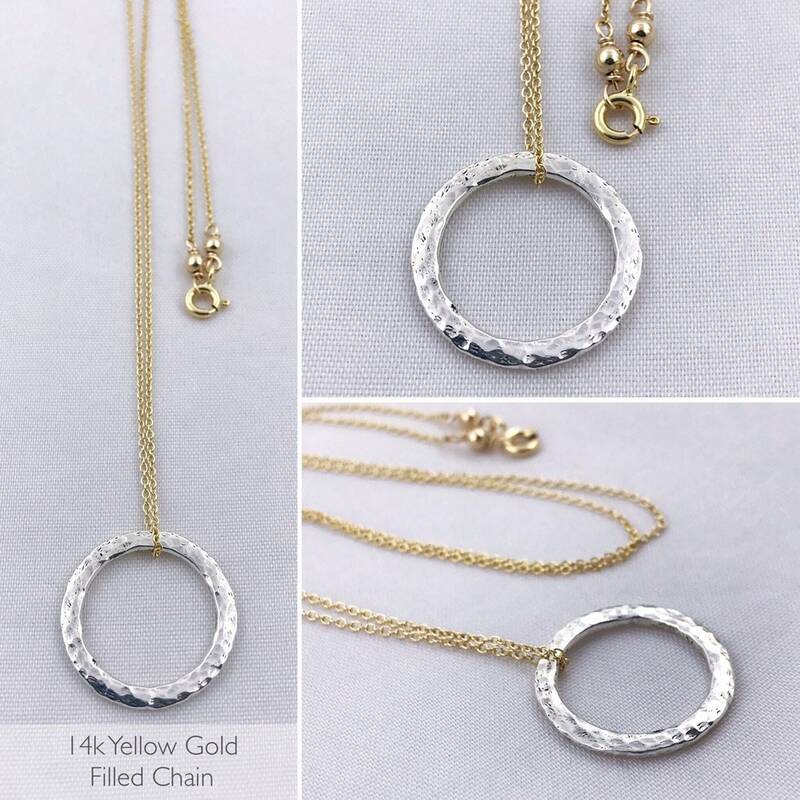 Leave me a note at checkout with your clasp request. 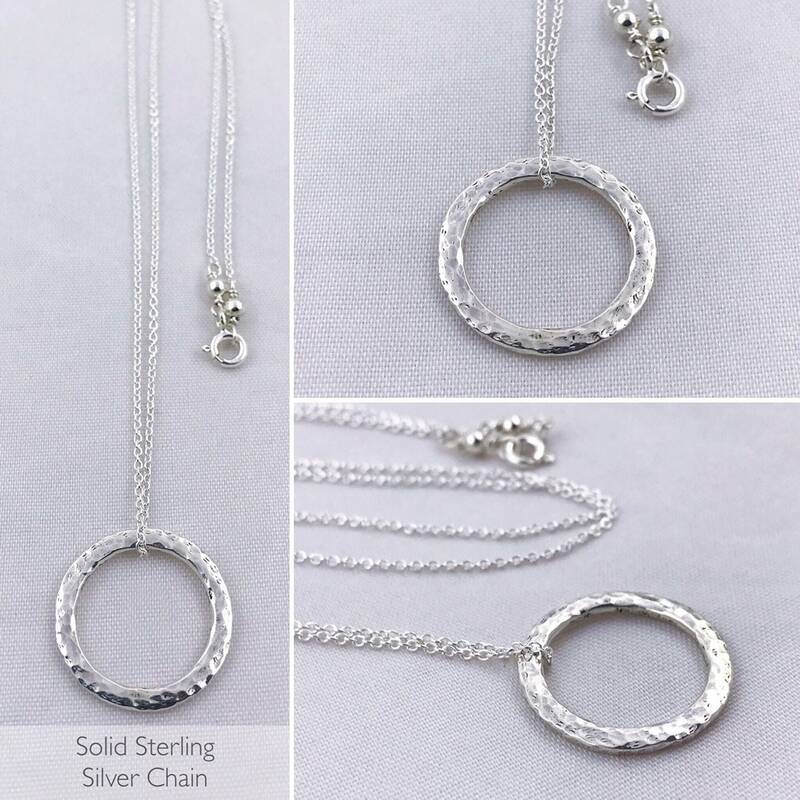 If none are specified, the default clasp is small spring ring. 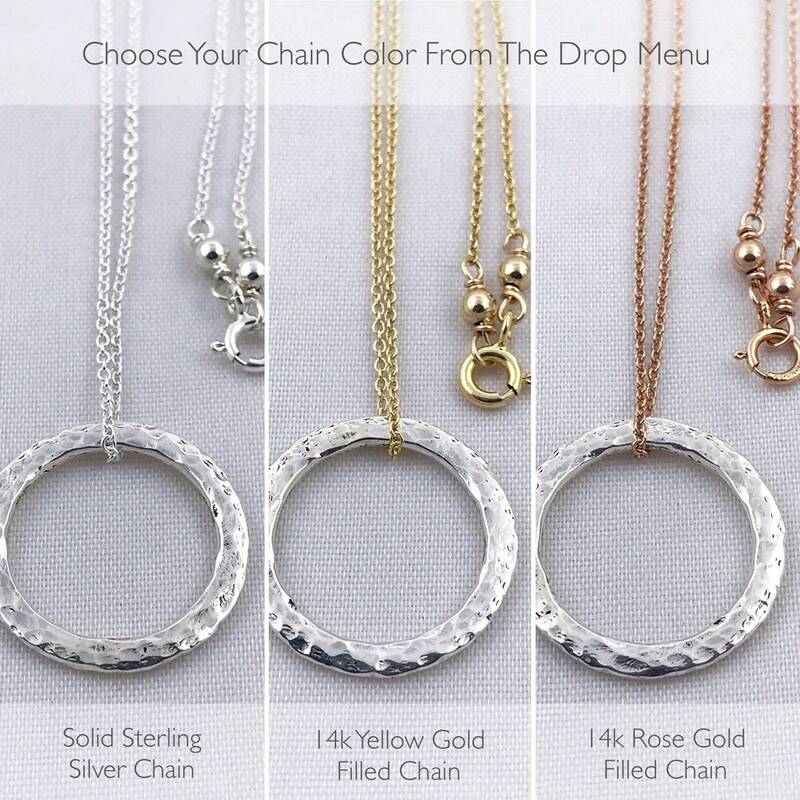 -Choose your desired chain length from the second drop down menu. 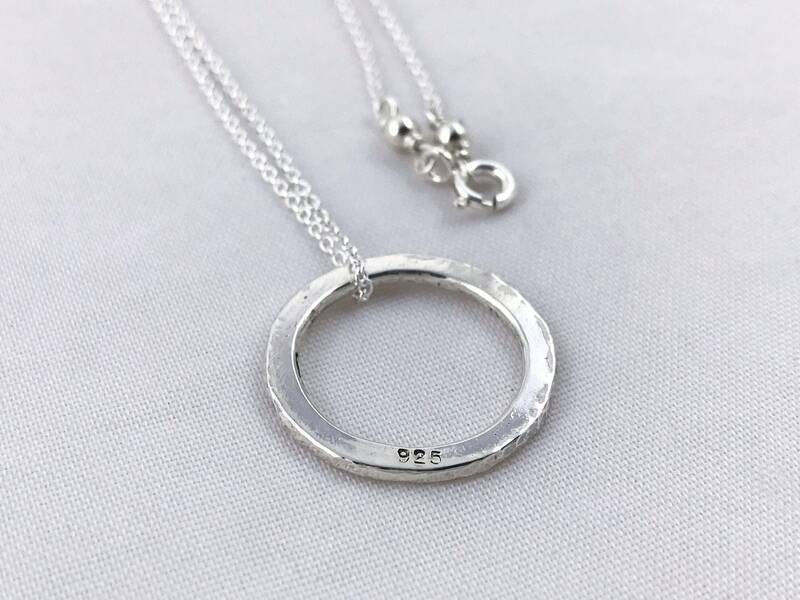 (Necklace in photos is 18" chain length).